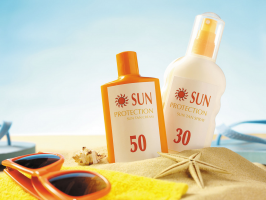 For buying a sunscreen that actually helps in protecting your skin, it is necessary to know that you will be able to find the best match for your skin because not all of the sunscreen lotions and applications are good for every skin type and under all different kinds of surrounding conditions. Some of the sunscreens are good for oily skin whereas some may be a good choice for the dry and dull skin. No matter which type of skin you have, it is important to consider the ingredients and the kind of protection the sunscreen may give on your skin. The basis for any natural style is to start with clean hair that is well conditioned and prepped for your style. That is especially true for the Wash n’ Go style. Starting with 1 section, apply a generous amount of the Natural Style by FUBU Leave-In Conditioner. The creaminess of this conditioning blend will blanket your hair with added moisture as well as gently detangle the section of hair. For a stronger hold (Perfect for level 4) – Add a quarter size dollop (more for larger section, less for smaller section) of Natural Style by FUBU Curl Defining Gel throughout the section of hair, stroking and raking with fingers. Your Curls will begin to really pop! Repeat these steps until all sections have been completed. Lastly, use the Miracle Must Have Treatment and Finisher to seal in all of the wonderful moisture you just applied. After spraying over your entire head of hair, use your hands to gently scrunch the oil blend into your curls! One of the most popular styles among naturalistas is the Twist Out! Here is How to get YOUR perfect twist out. Section your hair by parting from ear to ear. Clip the front section out of the way. Part the back section into 2 parts running from one side of hair to the other (use your earlobe as a guide) to form a “smile” part. Clip the middle section out of the way. Apply a generous amount of the Natural Style by FUBU Leave-In Conditioner. The creaminess of this conditioning blend will blanket your hair with added moisture as well as gently detangle the section of hair. Make sure you are thoroughly coating each strand. Generously spray the section with the Natural Style by FUBU Miracle Must Have Treatment & Finisher. This unique blend will not only seal in moisture but will provide additional moisture and beautiful shine. Using your fingers (or rattail comb), separate a small section of hair and divide into 2 parts. Next, beginning close to the root, start to twist each of these sub-sections over each other all the way down until you reach the end of the twist. Note: If your ends need special attention, by all means add a bit more leave-in conditioner to the ends. Repeat this process by sectioning another part equal to the first, and twist the same way. Move on to the next section (s) until process is complete over entire head. NOTE: DIRECT THE TWISTS IN THE FRONT SECTION IN THE DIRECTION YOU INTEND TO WEAR YOUR HAIR; IF YOU PREFER A BIT OF HAIR HANGING TOWARDS YOUR FOREHEAD, TWIST IN THAT DIRECTION. After your hair has completely dried (air dry or with a hood dryer) it’s time to Twist Out! Spray a bit of the Miracle Must Have on your fingertips and starting at the ends of the twists gently begin to unravel them. Once you have un-twisted the entire head you can use your fingers or a wide comb or pik to style your twist out to fit you perfectly! While transitioning, your hair is at its weakest at the intersection of the natural hair and the relaxed ends. No fear! There is hope for a smooth and healthy transition with Natural Style by FUBU products. Not to mention style that fits you perfectly! Start with clean, conditioned and detangled hair. Beginning in the front, part your hair half way (to the top of your head) in the direction you want your style to be: center, left part, right part. You should have two sections (equal if parted in the center). Clip the section you are not starting with out of the way with butterfly clips. Apply a generous amount of Natural Style by FUBU Leave-In Conditioner. Be sure to smooth and rub the product into the hair for optimal moisture. Do additional finger detangling as you rub the product in. Smooth hair from the center of the head (if parted in the center) or from the top of the head (if parted on either side). Beginning in the front, small sections at a time, begin to gather the hair as you tuck and roll it flat against your head. Be sure to gently tuck those ends and continue to smooth the hair from the top center so you won’t end up with a puff at the top! After you have tucked and rolled to the back center (you should be at the nape of your head) use a pin to secure the roll in place. You can also pin in sections along the roll as you see fit. Many naturalistas wear an elegant updo when it’s time for them to style for a fancy occasion. This easy style tip will certainly turn heads as you enter the room! After hair is clean and conditioned apply a generous amount of Natural Style by FUBU Leave-in conditioner. Completely detangle the hair, parting into smaller sections if needed. While hair is still damp, gently brush the hair into a high position on top of your head gathering all sides until you have a smooth puff high on the top! Secure with an elastic band. Section the “puff” into smaller sub sections and twist them. The number of twists you have depends on the size/length of the puff. Wrap the hair that is smoothed on the head with a silky scarf. This will ensure that the smooth part of the style will stay put all night. Let hair dry. After hair is dry, remove scarf and un-twist each section at the top of your head. Use your fingers of spike the hair or perfect your look to suit you. Spray with a generous amount of Miracle Must Have Treatment & Finisher and voila! If you’ve done the Big Chop, you know that style options can be limited while you wait for your locks to gain length. That’s no reason to be limited on expressing your natural style! The sky is the limit! Use accessories such as: Barrets, headbands, scarfs, feathers, clips, jewels etc. Attach the hair accessory of your choice and work your TWA! Remember, you are not limited to a “hair” accessory. Use whatever shows off your unique style! Congratulations on choosing to express your style naturally! It can be quite confusing as to what to use to maintain and express your style the way you want to. Hold on! With a BIG dose of patience and the Natural Style by FuBu products I am convinced you will rock your style any way you choose to…fabulously! a) Always start with clean hair. Use the Gentle Shampoo to ensure your hair is clean without having the moisture stripped during the process. b) depending on your hair type you will want to layer the products. I suggest using the deep conditioner & co-wash. Rinse thoroughly, then apply the Leave-In Conditioner to small sections. This ensures that each strand is coated with the Miracle 9 Complex blend of oils. c) Depending on your style preference (twists, wash-n-go, braids, buns) select your finishing products. You might need to experiment with your product mix but the Curl Defining Gel and the Miracle Must Have are two to try. Please check out the product details for more info on each item. Thank you for reaching out and please let us know how you are using the line! GIVE UP ON TRYING ANY MORE NEW PRODUCTS. THANKS FOR YOUR HELP. Q: Hello I’m trying to go completely natural, I’ve been in transition for about a month now. Are there any products you recommend for my medium thick coarse hair for faster growth?A: Congratulations on your decision to transition to natural hair! Natural Style by FUBU has an excellent array of products that are designed to help you transition with minimal breakage and increased moisture. Each item in the product lineup has the unique Miracle 9 complex, a proprietary blend of oils that are essential to maintaining moisture in the hair. The first key to healthy hair while transitioning is clean hair. I suggest you start with weekly/bi-weekly shampoo using the Natural Style by FUBU Gentle Shampoo. Next, always include conditioner as part of your hair regiment. The perfect partner to the Gentle Shampoo is the Deep Conditioner & Co-Wash. On weeks you plan to shampoo, use it as a deep conditioner. On the weeks you don’t shampoo, use it as a co-wash to gently cleanse your hair while providing the benefits of deep conditioning. Wearing styles that protect your hair while transitioning will aid in length retention. Our array of styling products will surely help you to transition safely and naturally.